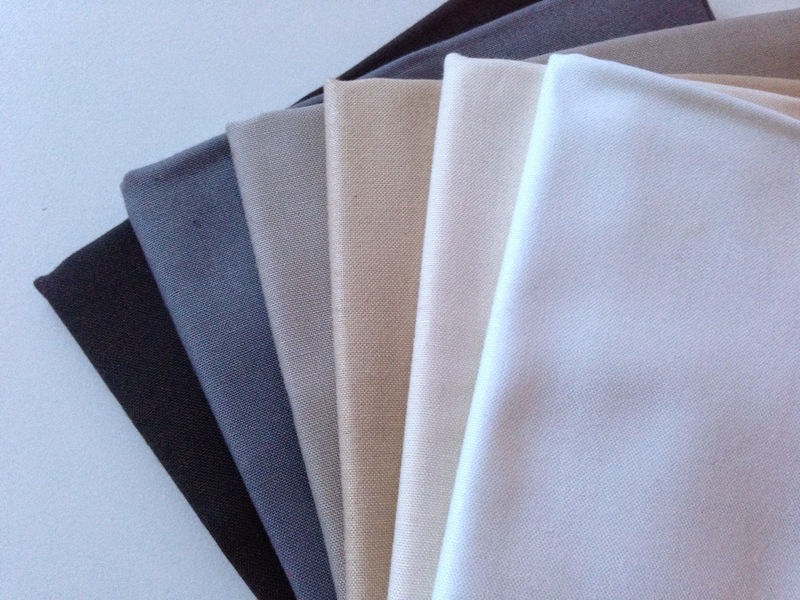 I am so excited to introduce you to Fabric Spark, an online retailer specializing in the latest quality fabrics. Fabric Spark is our newest sponsor! And the Fabric Spark button is now at the top of the right sidebar. 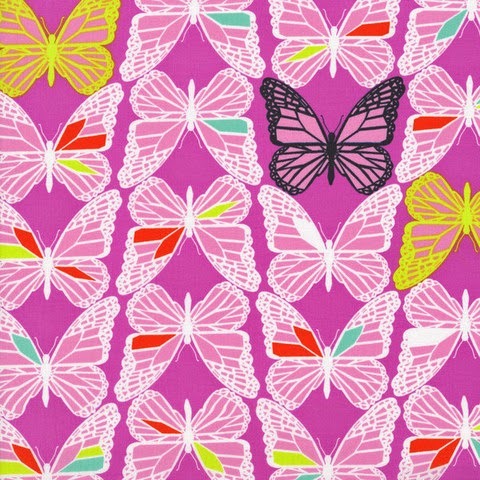 Aren't we all inspired by our love of beautiful fabrics? 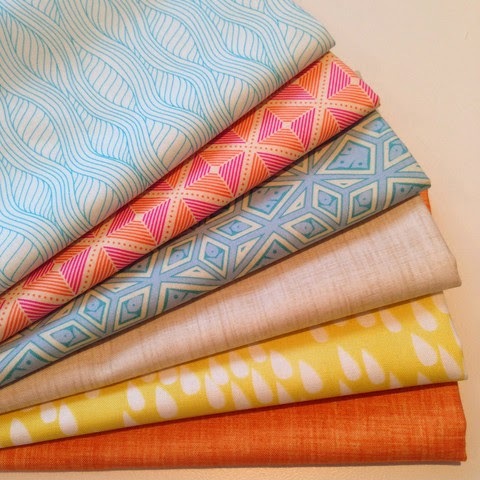 Daryl obsession has led her to create Fabric Spark, located in Toronto, Ontario. She has a great love of the sewing community and says, "Everyone I meet is nice, helpful, talented and enthusiastic. From the super accomplished to early beginners, there is a spirit of innovation, creativity and appreciation for one another's talents. It's a joy to pull a chair up to this table and I hope I can add something in the process." 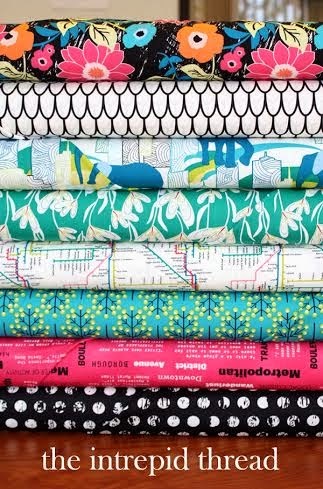 Fabric Spark features the most sought after modern fabrics available - including some of my favourite collections by such manufacturers as Robert Kaufman, Michael Miller, and Riley Blake - to name a few. Her inventory even includes Cotton & Steel! 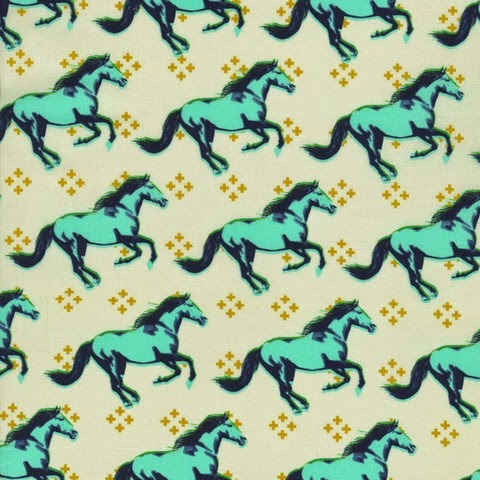 Fabrics are listed by Manufacturer, Designer, Colour or Theme - and there is a wonderful selection in the Sale section, too! Find yourself a great bargain today! Check out these gorgeous fat quarter bundles, curated by such well known quilitng bloggers as Holly of Bijou Lovely, Sherri at Thread Riding Hood, and Maureen of Maureen Cracknell Handmade. HEADS UP! 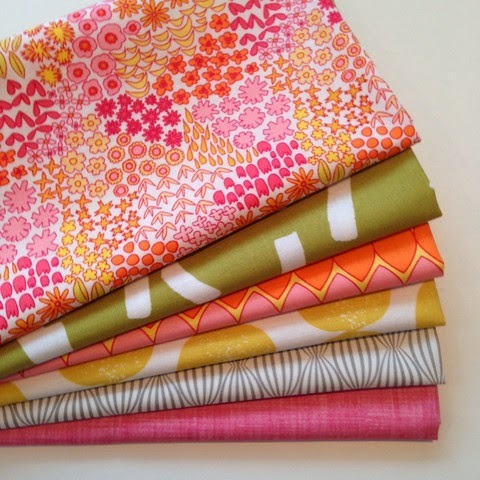 There is a giveaway going on now for this gorgeous fat quarter bundle by curated by Melissa of Polka Dot Chair. Enter today! 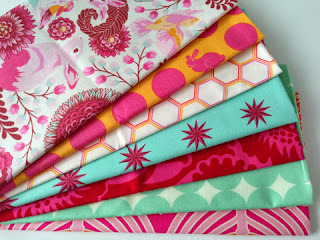 Following the Fabric Spark blog will keep you up to date with the latest fabric additions and giveaways. PLEASE do drop in to visit Daryl at Fabric Spark. Tell her I sent you! And I promise... You won't be disappointed! Disclosure of Material Connection: Some of the links in my posts are “affiliate links.” This means if you click on the link and purchase the item, I will receive an affiliate commission. Regardless, I only recommend products or services I use personally and believe will add value to my readers. I am disclosing this in accordance with the Federal Trade Commission’s 16 CFR, Part 255: “Guides Concerning the Use of Endorsements and Testimonials in Advertising. I can hardly believe that summer is half way over - already! The kids have been home from school since the beginning of the month and we have been keeping busy with baseball games and practices, swim team practices and meets.... And have also been watching the television series LOST on DVD, borrowed from our local library. Following my Friday finish posts, I am usually well on my way with my next project by now... I have not even decided what to work on this week! 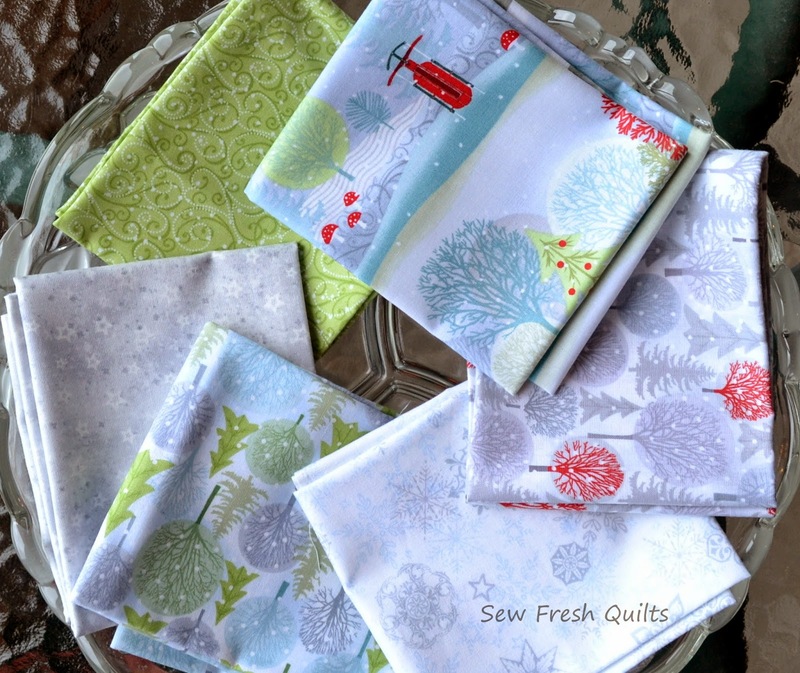 But I did drop in to buy these new Christmas themed fat quarters by Henry Glass Fabrics. These are Holiday Cheer by Jan Shade Beach. I think it's perfectly normal to be thinking of Christmas in July. Don't you? But now... What to make? Table runner? Christmas stocking? Throw quilt? Let me know in the comments if you have any suggestions! NOW.... What's new with you? LOTS OF NEW Participants each week! Try to meet some NEW friends! Happy Friday everyone! 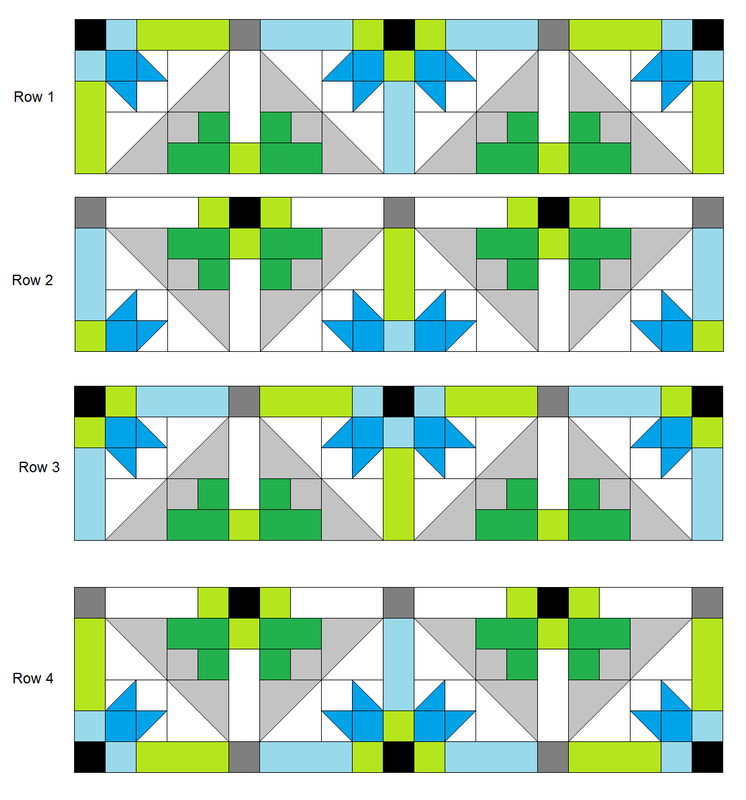 As promised, today I am sharing the tutorial for the GenX-Aztec baby quilt. This baby boy quilt finished at 41" square. Change up the colour scheme and you have yourself a gender neutral or baby girl quilt. Introducing My Own Quilt Labels by Ikaprint. This was my first opportunity to use my new quilt labels! I sewed the label in while applying the binding to the back of the quilt. I designed my labels to have a message on the front and on the back. In this picture, I used my acrylic ruler to hold the label up so I could get a good shot of the back. I am in LOVE with these new labels!!! Every purchase made from the My Own Quilt Labels store earns me $1.88, which is greatly appreciated. Every little bit helps! 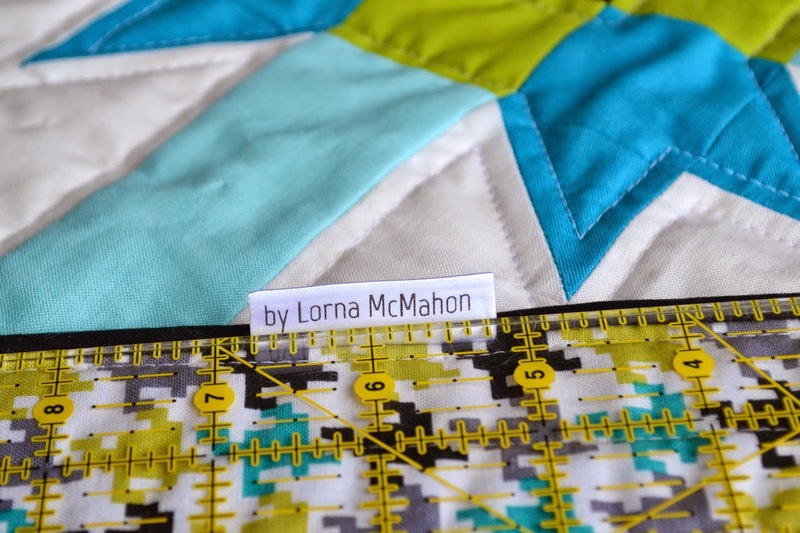 If you are interested in designing your own quilt labels, please click on the link or check out the button on my sidebar, beneath my profile picture. 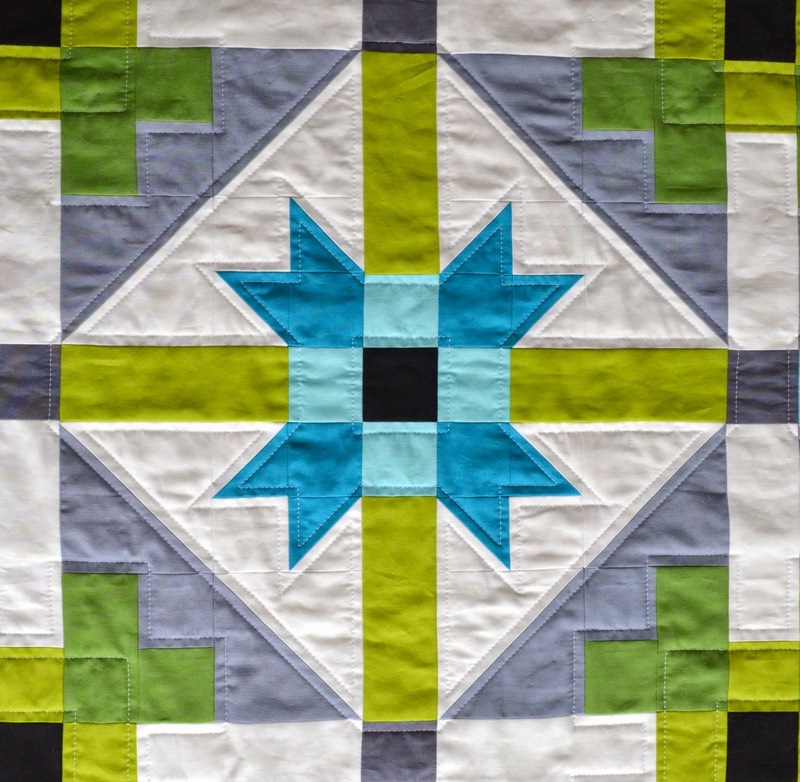 Please do scroll down to the end of the tutorial to see more close up pictures of the GenX-Aztec quilt. I blogged about the making of this quilt previously here. 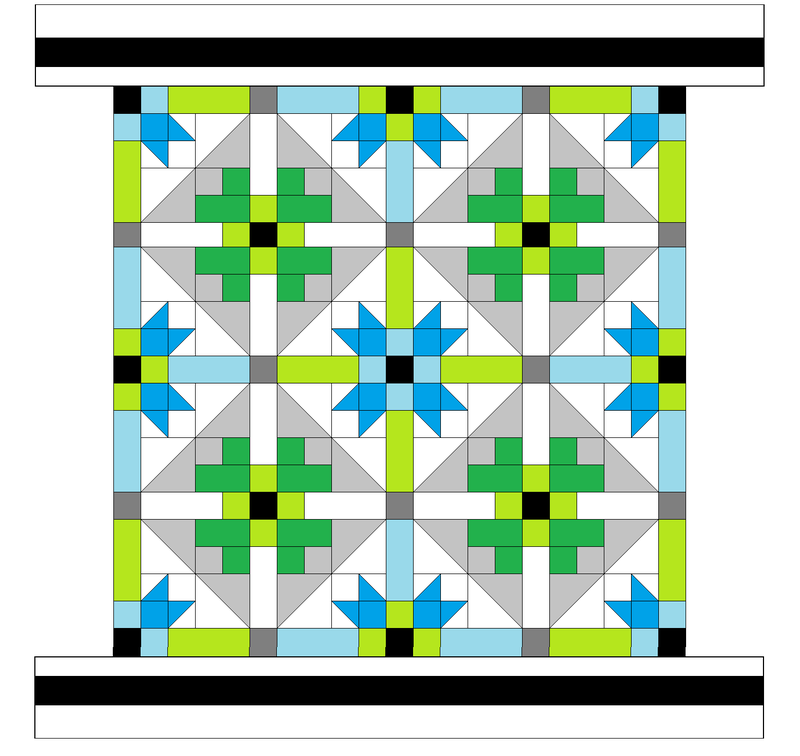 When designing the GenX-Aztec baby quilt, my block size was determined according to the backing fabric width. I wanted to get the best use of the backing fabric without having to add a seam to make the fabric wider. So the backing fabric is about 44" wide. Had I used 8" blocks with 2" sashing, the width of the top would be (8x4) + (2x5) = 42"
But since I wanted to add borders to the layout, I went with a 7" block size. For this tutorial, I will be giving the measurements used in the 7" block size. 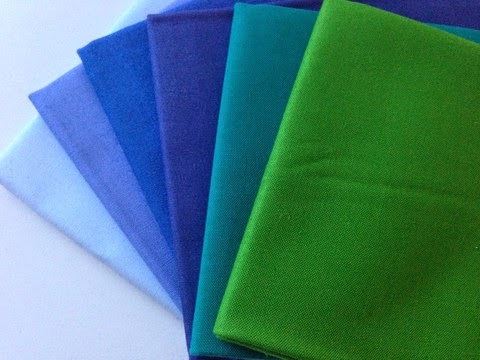 The names of the Kona Cotton Solids I used are given and their colours are shown in brackets. 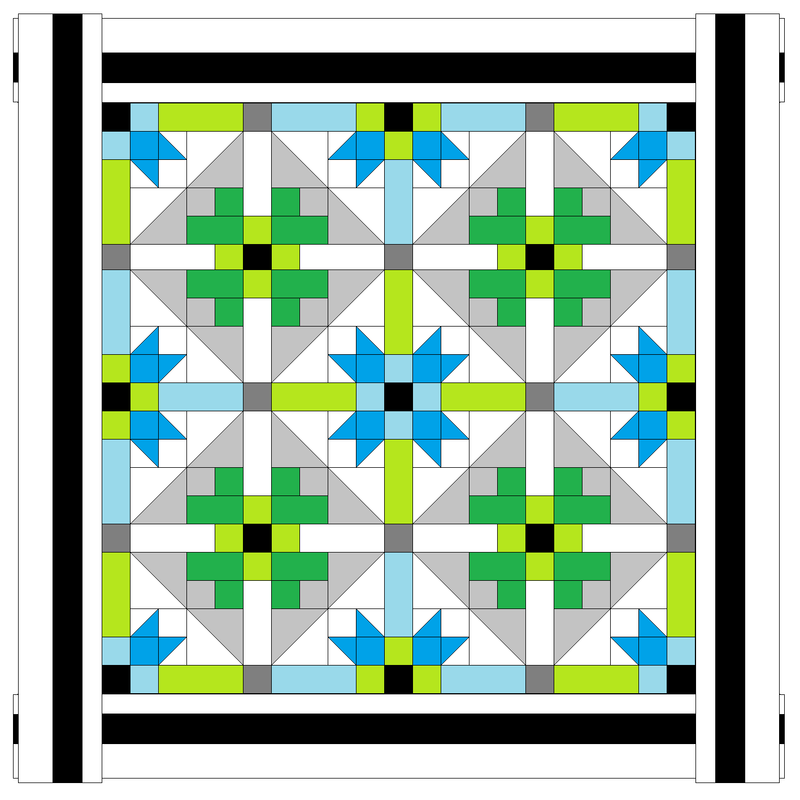 When designing the GenX-Aztec baby quilt, the solid colours chosen were determined according to the colours in the backing fabric. 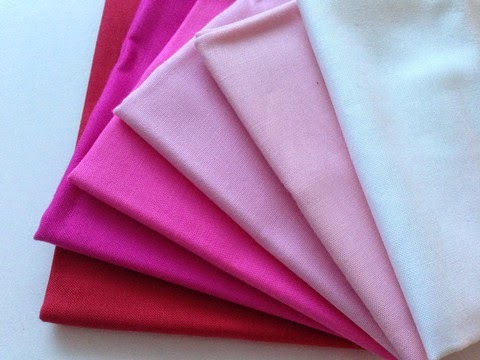 Fabric requirements based on a 42" Width of Fabric (WOF). Sew using a 1/4" seam. Press all seams as you go. Press all seams open unless stated otherwise. Cut 2 strips at 2.25” x 21” and crosscut into (16) 2.25” squares. Cut 3 strips at 2.75” x 21” and crosscut into (16) 2.75” squares. and crosscut into (12) 2.25” x 5.75” rectangles and (12) 2.25” squares. and crosscut into (16) 2.25” x 4” rectangles and (16) 2.25” squares. and crosscut into (16) 2.25” x 5.75” rectangles and (28) 2.25” squares. Cut 2 strips at 2.25” x 21” and crosscut into (12) 2.25” squares. Cut 4 strips at 1” x WOF (Width of Fabric) for borders. Cut 4 strips at 1.5” x WOF for borders. and crosscut into (16) 2.25” x 5.75” rectangles and (16) 2.25” squares. Cut 2 strips at 2.75” x WOF and crosscut into (16) 2.75” squares. Cut 2 strips at 4.5” x WOF and crosscut into (16) 4.5” squares. Cut 7 strips at 2.25” x WOF and crosscut into (16) 2.25” squares. Cut 2 strips at 2.25” x WOF and crosscut into (13) 2.25” squares. Cut 4 strips at 2.25” x WOF for binding. Sew the 16 Medium Grey 2.25" squares to the 16 Grass 2.25" squares. Sew the 16 Peapod 2.25" squares to the 16 Snow 2.25" x 5.75" rectangles. 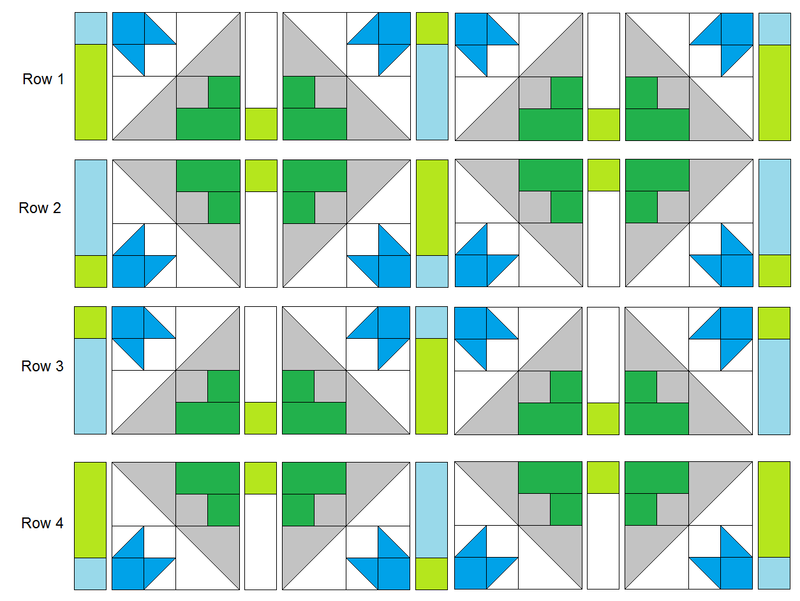 Sew the 12 Azure 2.25" squares to the 12 Peapod 2.25" x 5.75" rectangles. 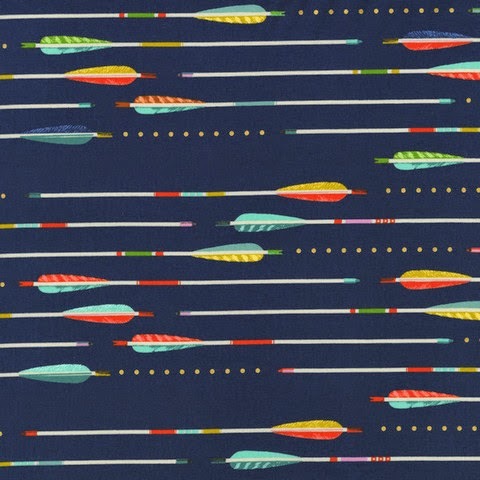 Sew the 12 Peapod 2.25" squares to the 12 Azure 2.25" x 5.75" rectangles. 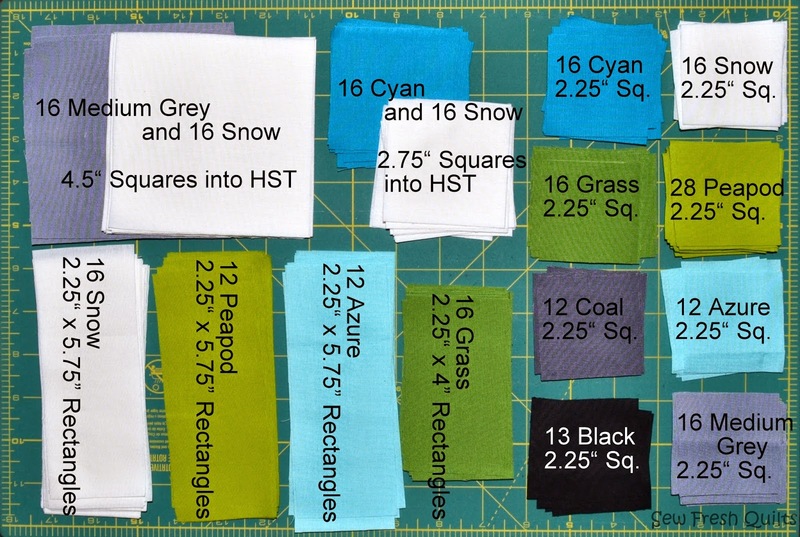 Use the 16 Medium Grey and 16 Snow 4.5" squares to make HST units using this tutorial and trimming your 32 HST's to 4" square. Use the 16 Cyan and 16 Snow 2.75" squares to make HST units using this tutorial and trimming your 32 HST's to 2.25" square. Sew the 16 Medium Grey and Grass units to the 16 Grass 2.25" x 4" rectangles. 8 will be facing left and 8 will be facing right. 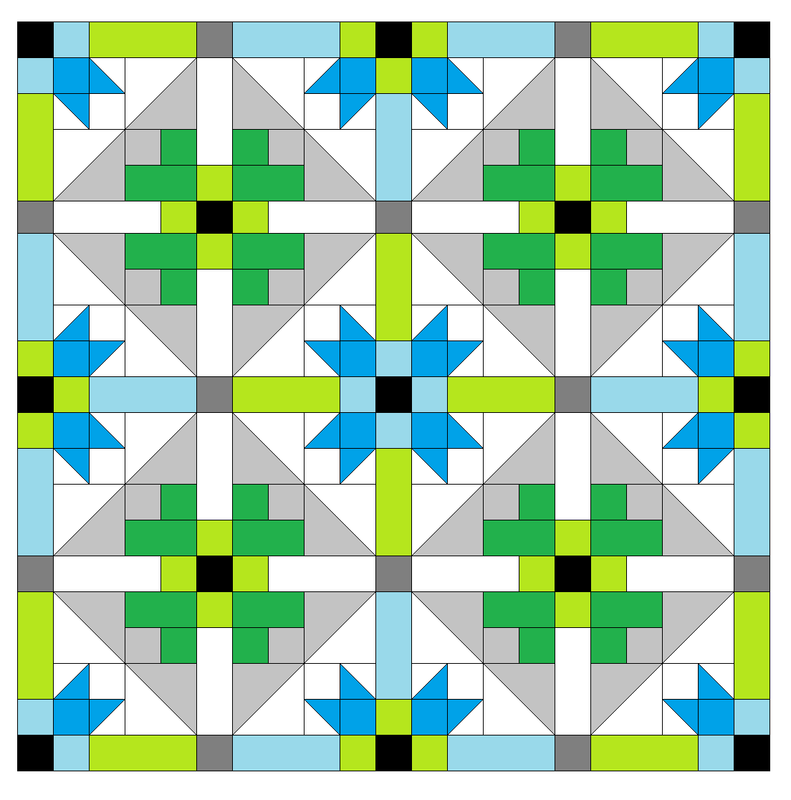 Sew the 32 Cyan/Snow HST units to the 16 Cyan 2.25" squares and the 16 Snow 2.25" squares. Sew 5 Black 2.25" squares to blue end of 5 Cyan/Peapod units. Sew 4 Black 2.25" squares to the green end of 4 Peapod/Cyan units. Sew 4 Black 2.25" squares to the green end of 4 Peapod/Snow units. Then sew 6 Coal 2.25" squares to the green end of the 5 Cyan/Peapod units and one more Cyan/Peapod unit. Then sew 6 Coal 2.25" squares to the white end of the 4 Peapod/Snow units and two more Peapod/Snow units. Sew these units into the sashing rows as shown in the photo below. Sew the 16 pieces of Cyan/Snow HST and Snow units to the 16 pieces of Cyan/Snow HST and Cyan units. This photo show the pieces needed to make the 16 blocks. 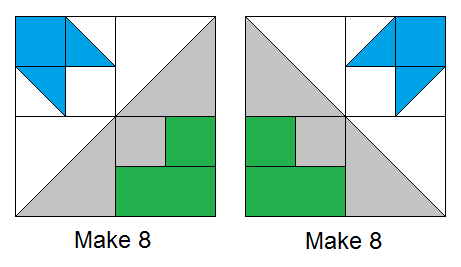 Arrange these pieces to make 8 blocks facing left and 8 blocks facing right. Arrange these blocks and remaining sashing units to make the Row 1 and sew the pieces into the row. Do the same for the remaining 3 Rows. Arrange the sashing strips made in Step 3 and sew them to the tops of Row 1, 2, and 3. And to the top and bottom of Row 4. Sew the sashed rows together. Sew the border strips together. First sew the Black 1.5” x WOF strips to the Snow 1” x WOF strips. Press seams toward the Black. Sew the Snow 1.5” x WOF strips to the other side of the Black strips. Press seams toward the Black. Fold each of these completed border units in half and crease to mark the centers on the White 1” side. Do the same for the side edges of the quilt top. Matching the crease marks, pin 2 of the borders to the top and bottom of the quilt top. Start sewing ¼” from the edge of the quilt top, backstitching to lock the beginning of the seam and sew the borders onto the quilt top, stopping ¼” from the end of the quilt top and backstitching to lock the seam. Press seams open. Matching the crease marks, pin the 2 remaining borders to the sides of the quilt top. Sew the borders onto the quilt top. DO NOT sew across the top and bottom border pieces. Only attach the side borders to the quilt top, backstitching at the beginning and end of each seam. Press seams open. Now sew the four mitered corners of the borders using this tutorial. Finished size approx. 42" x 42"
Layer your quilt backing, batting and quilt top. Baste and quilt as desired. 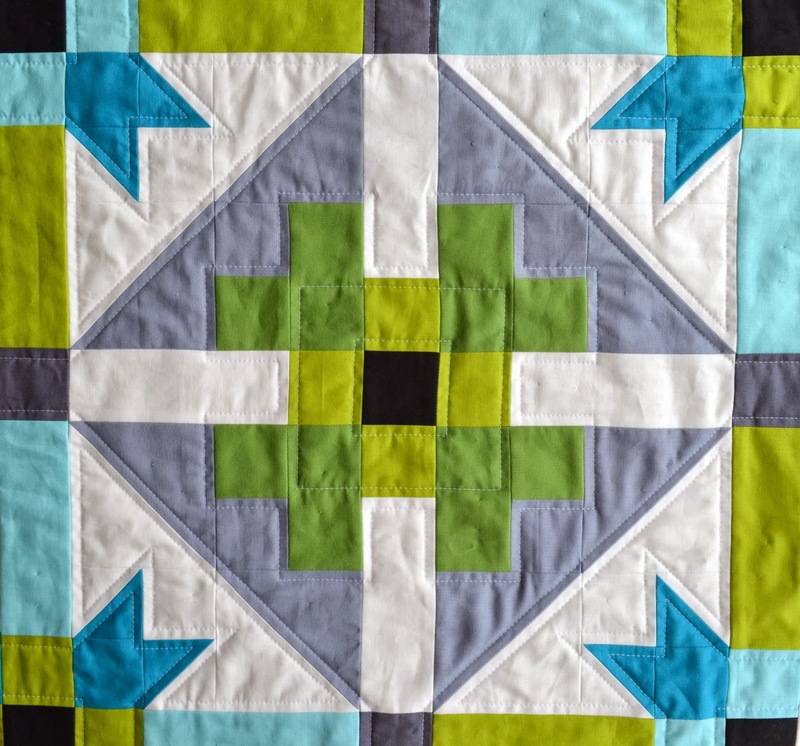 I used Echo quilting to emphasize the illusion of the On Point blocks and to highlight the squareness of the green Greek Cross blocks and the pointed corners of the Farmer's Daughter blocks. Lastly, I quilted in the ditch on each side of the black line in the borders. Use the 4 Black 2.25" x WOF strips to bind your quilt.... And enjoy!!! Take lots of pics. This tutorial will be available on my Tutorials Page found underneath my blog header! 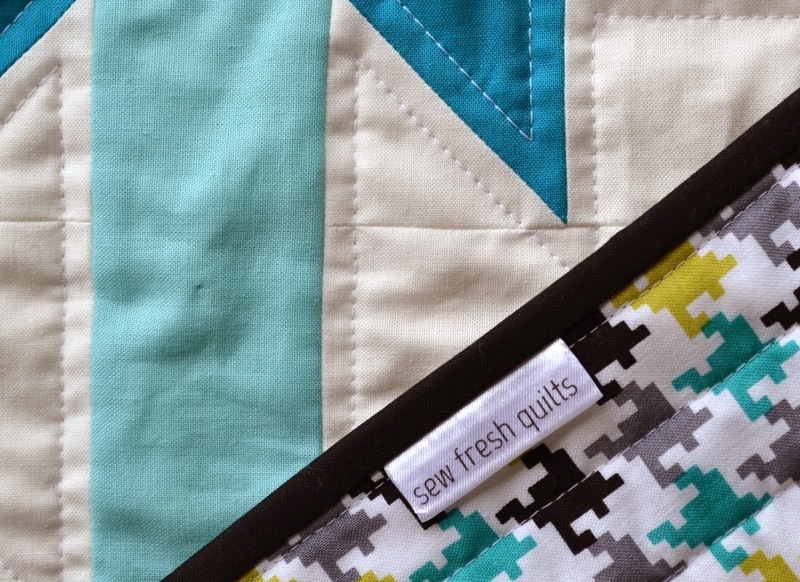 I would love it if you shared the pictures with the Sew Fresh Quilts Flickr group. Or sent me a picture by email at sewfreshquilts (at) gmail (dot) com. The GenX-Aztec baby quilt is now for sale in my Etsy shop! 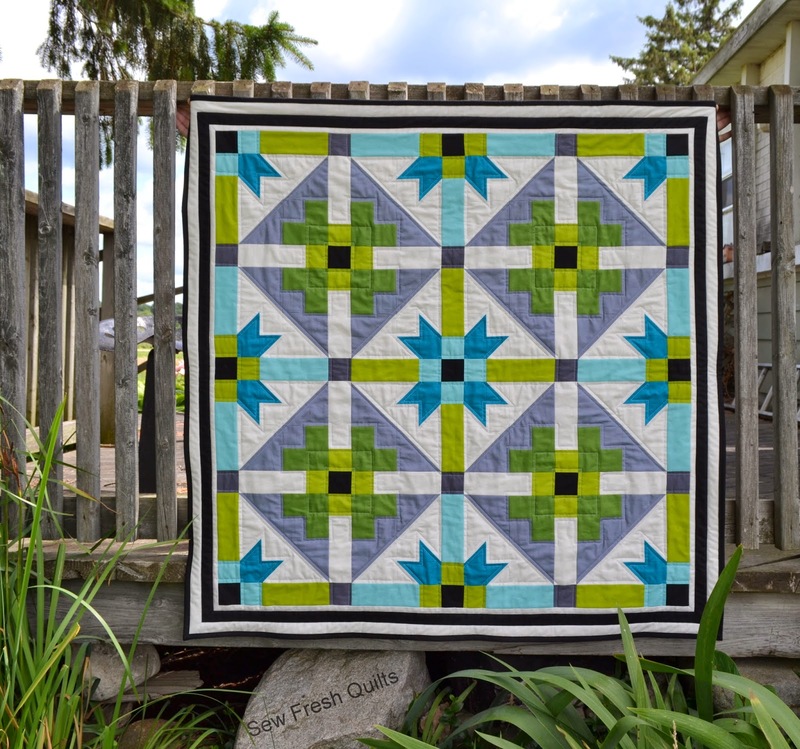 Linking up to Finish it up Friday with Amanda Jean of Crazy Mom Quilts and TGIFF! hosted this week with Heather at QA Creations. AND Be sure to enter the generous GIVEAWAY sponsored by The Intrepid Thread. Going on NOW! 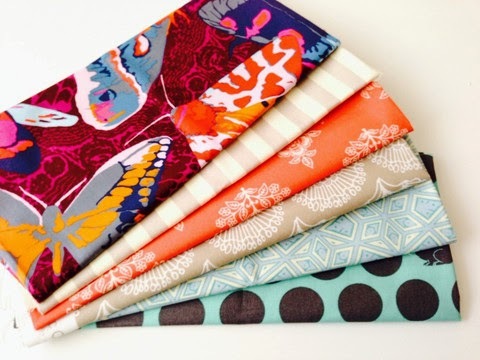 Up for grabs is a yummy fat quarter bundle of Jungle Avenue by Sara Lawson! Giveaway Day with The Intrepid Thread! Sew Canadian Sundays this Summer!